Slovak Prime Minister Quits Over Reporter's Slaying - Integration Through Media ....! 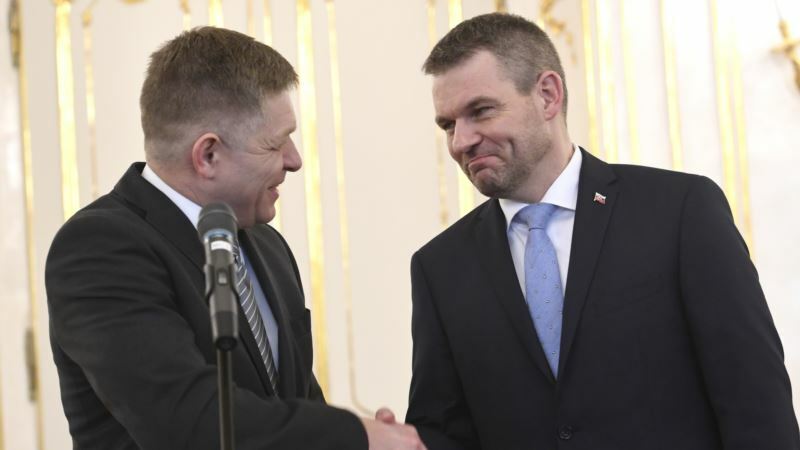 (VOA): Slovakia's prime minister, Robert Fico, has resigned after more than two weeks of political turmoil and public protests sparked by the killing of an investigative journalist. The country's president, Andrej Kiska, on Thursday asked Fico's deputy, Peter Pellegrini, to form a new government. The resignation followed Slovakia's largest protests since the anti-communist Velvet Revolution of 1989. Tens of thousands of Slovaks joined anti-government protests across the country last week to demand a thorough investigation in the shooting deaths of reporter Jan Kuciak and his girlfriend, Martina Kusnirova. At the time of his death last month, Kuciak, 27, had been writing about ties between the Italian organized-crime group known as the 'Ndrangheta and individuals close to Fico. The government of Slovakia has offered a $1.2 million reward for information about the killings. Fico vowed Thursday to remain in politics as the active leader of his Smer party. The unsolved killing has fueled public anger over corruption and threatened to bring down the coalition before the party leaders agreed to a change of guard. Protest leaders released a statement saying that the governing coalition, including the Smer party, had “humiliated and misled the whole public with its decision.” They planned to hold protests in more than 30 cities Friday.